I was given a copy by M.Greene in 1974. One of our class mates. Since this post, I have seen the photo put elsewhere online. If you check dates, You will see probably taken from either this one or one I put up on facebook. I was in the year behind you. 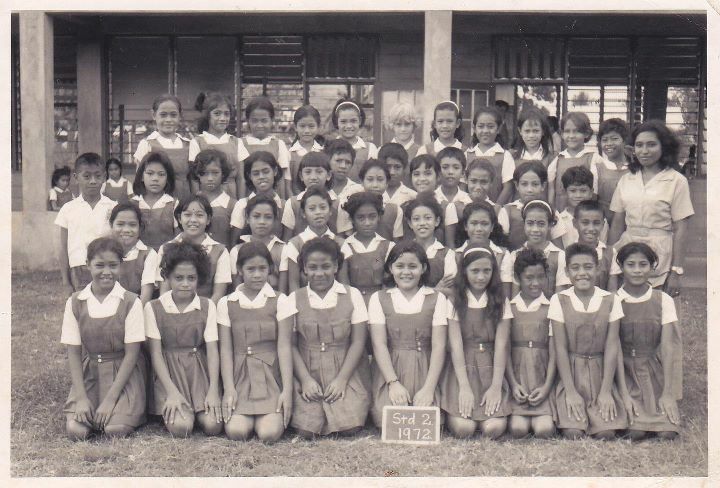 1972 I was in Standard 1 with Mrs Palepa Gabriel. I see one of the boys in your class, I was one of 3 boys in my class and the next year 1973, we were shipped across to Marist Brothers Mulivai. I'm wondering where you got your picture from? Was it a part of your personal collection saved over the years or did you find it in an an online archive? Excited to read about your planned sabbatical for 2013 Sonya, sure you will be sharing more wonderful stories. Kia ora Moana, If you ever need me for any geek stuff, I am more than willing to help. You can also find me on the VLN.